David M. Oddo, Esq. is a Partner and Senior Trial Attorney at Okun, Oddo & Babat, P.C. He concentrates his practice in the areas of medical malpractice, products liability and catastrophic personal injury cases. He has dedicated his career to representing people whose lives have been devastated by the negligent and reckless acts of others. As an Assistant District Attorney in the Nassau County District Attorney’s Office (1989-1993), Mr. Oddo fought for crime victims in his prosecution of serious criminal cases. He then brought his passion for justice, as well as his vast trial experience, to private practice, concentrating his practice in the litigation and trial of complex civil cases. Mr. Oddo believes strongly that his practice has a larger purpose, to fight for improvements in medical care and consumer safety. He takes great pride in knowing that several of his cases have had a direct impact on improving patient safety in NY area hospitals. Mr. Oddo serves as a Dean for the NY State Trial Lawyers Institute (NYSTLI) and has been a frequent lecturer on Medical Malpractice topics and trial practice, as well as on the use of biomechanical experts at trial and proving economic damages in wrongful death cases. He recently lectured at the popular CLE programs Boot Camp for Trial Lawyers and Trying Medical Malpractice Cases. He has earned the distinction of being a Fellow, of the American Bar Foundation. The Fellows is an honorary society of attorneys, judges, law faculty, and legal scholars whose public and private careers have demonstrated outstanding dedication to the highest principles of the legal profession and to the welfare of their communities. Membership in the Fellows is limited to one percent of lawyers licensed to practice in each jurisdiction. Members are nominated by their peers and elected by the Board of the American Bar Foundation. This year, Mr. Oddo was named to City and State Magazine’s 50 over 50, honoring 50 leaders who have distinguished themselves by helping New York in civic affairs. He was recognized for his influence in making important contributions to our city and state. 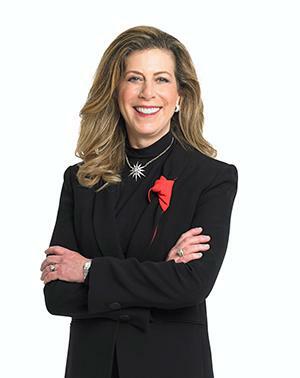 Michele S. Mirman, Esq. a partner and trial attorney at Mirman Markovits & Landau. She has been an active member of the New York State Bar for almost 40 years. She is licensed to practice in New York, New Jersey, California, Connecticut, Florida and Washington D.C., as wellas the Federal Courts of the Eastern and Southern Districts of New York. Mrs. Mirman is a member of the New York State Trial Lawyers Association, The Brooklyn Bar Association and the American Bar Association, previously served on the Board of Directors for the Brooklyn Bar Association, and is on the Board of Directors for the New York State Trial Lawyers Association. Mrs. Mirman enjoys the highest ranking of 10 from Avvo. Mrs. Mirman is committed to making a difference in her community. She is a member of AllinBrooklyn, a community of women which makes grants to organizations that strengthen Brooklyn. She is longtime supporter of both the Brooklyn Kindergarten Society, which raises money for preschools in underprivileged areas in Brooklyn,and The Making Headway Foundation, whose purpose is to raise money for research into brain cancer in children. She is a Trustee of the Tenement Museum of New York City, whose mission is to tell the story of the immigrant experience in the United States and to celebrate the achievements immigrants have made. As the Vice President of the Brooklyn Women's Bar Association, she has spearheaded the drive to raise money for the Safe Homes Project of Brooklyn, which provides shelter and services for abused women and children. And Mrs. Mirman also served on the judiciary committee for the New York State Women's Bar Association, which rates New York State judicial candidates. Edward A. Steinberg, Esq. has represented and assisted victims of significant personal injury and medical malpractice cases for the past twenty years. At Leav & Steinberg, LLP he has advocated for hundreds of clients and their families in their time of need, obtaining millions of dollars on their behalf. Countless successful results involved helping victims of negligence even after other attorneys in New York rejected the cases. After being admitted to the bar and practicing for some time at that firm, Mr. Steinberg met Mr. Leav and they formed what has grown to be one of the most aggressive, successful firms practicing negligence litigation in New York. David A. Roth, Esq. is a founding Partner of Roth & Roth, LLP admitted in 1992 to the bars of New York, New Jersey, US Eastern and Southern Districts of NY. Additionally, he has been admitted to try cases in the states of California and Virginia. He is a 1988 graduate of the University of Buffalo. He earned his JD from Albany Law School in 1991. He is a member of the Board of Directors of the New York State Trial Lawyers Association and is active in lobbying efforts as well as participating in various Committee projects. He is also a member of the national trial lawyers association now known as the American Association for Justice and is a member of the National Employment Lawyers Association. David Roth has lectured on topics from general personal injury practice to technology in the courtroom. In the course of his involvement with the Trial Lawyers Association, David Roth has been able to fight not only for his clients' rights but the rights of all New Yorkers. Marea L. Wachsman, Esq. is a founding member and partner in Schreier & Wachsman, LLP. She litigates many types of civil matters with a focus on representing seriously injured victims of medical malpractice and general negligence. Ms. Wachsman also represents commercial litigants. Ms. Wachsman is involved from inception to completion on matters accepted by the firm. In addition to being a member of the New York State Trial Lawyers Association and serving on its Executive Board for the past several years, Ms. Wachsman is the President of the Women Trial Lawyers Caucus, Inc. Ms. Wachsman is also on the Board of the Brooklyn Women's Bar Association and just finished a two year term as a Vice President. Ms. Wachsman is also a member of the Women's Bar Association of the State of New York and is a Co-Chair of its Legislation Committee. For the past two years, Ms Wachsman has served on screening panels for the judiciary including the Court of Appeals. Ms. Wachsman graduated from The American University in 1992 and began her career as a licensed commercial real estate broker. While working during the day as a paralegal Ms. Wachsman returned to school and received her J. D. from New York Law School in 2000 and graduated number twenty (20) in her class. 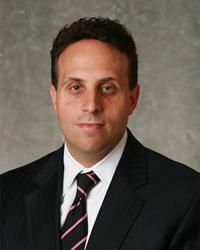 Joshua N. Stein Mr. Stein is Vice President and a founding member of Greenberg & Stein, P.C. Mr. Stein is originally from Pittsburgh, Pennsylvania, but has called the New York Metropolitan Area home since 1991. Mr. Stein received his undergraduate degree in International Relations from Boston University in 1991. He graduated from Yeshiva University, Benjamin N. Cardozo School of Law in 1994. Mr. Stein has been named to the highly esteemed “SuperLawyers”® List every year since 2014. He is also a member of the Multi-Million Dollar Advocates Forum® and the Million Dollar Advocates Forum® . He is the lead trial attorney at the firm and heads the litigation department. He has taken verdicts and settled cases in the state and federal courts of New York and New Jersey. Mr. Stein has extensive experience representing injured people in automobile accident cases, trip-and-fall accident cases, work-related accident cases, toxic tort (lead poisoning) cases, police brutality cases, nursing home abuse and cases against municipalities. Proudly, Mr. Stein obtained an award for a family of a 9/11 victim before the September 11th Victim’s Compensation Fund. Mr. Stein performed the work to obtain the award Pro Bono through the NYSTLA Trial Lawyers Care program. Mr. Stein has lectured to members of the New York State Trial Lawyers on issues such as Discovery in Automobile Accident Cases, The Cross Examination of Biomechanical Engineers in Automobile Cases and Discovery in Municipal an Transit Authority Cases. Mr. Stein has presented programs of EndDD (End Distracted Driving), to local high school students. EndDD is a charity founded by a trial lawyer to help drivers learn of the dangers of driving while texting or while being distracted by other factors. John D. Zaremba, Esq. is a founding member of Zaremba Brown PLLC. Mr. Zaremba is a litigator who limits his practice to cases arising from construction accidents, catastrophic personal injury, consumer class action cases, trucking accidents, and medical malpractice. Mr. Zaremba has been recognized by his peers with his selection to Super Lawyers, has been featured multiple times in New York Magazine’s annual list of Top Personal Injury Litigators, as well as the New York Law Journal’s section on “Top Verdicts and Settlements” for each of the past six years, and has also been featured in the New Jersey Law Journal’s section for the top verdicts and settlements. Mr. Zaremba has been selected as one of the Top 100 Trial Lawyers in the State of New York by the National Trial Lawyers Organization, and selected for the National Trial Lawyers Top 40 under 40. Mr. Zaremba teaches the litigation of construction site accidents, chairing a CLE course for the NYSTLI and is also a published author, having had articles featured in the New York Law Journal and the Legal Intelligencer. Mr. Zaremba has also sat on the Court of Appeals Judicial Screening Panel for the New York State Trial Lawyers Association. Matthew A. Funk, Esq. is a partner at Pasternack Tilker Ziegler Walsh Stanton & Romano, LLP. He handles the litigation of workers compensation cases for the firm. He received his undergraduate degree from Albany University in 1995 and later went on to earn his Juris Doctorate degree from Brooklyn Law School in 1998. 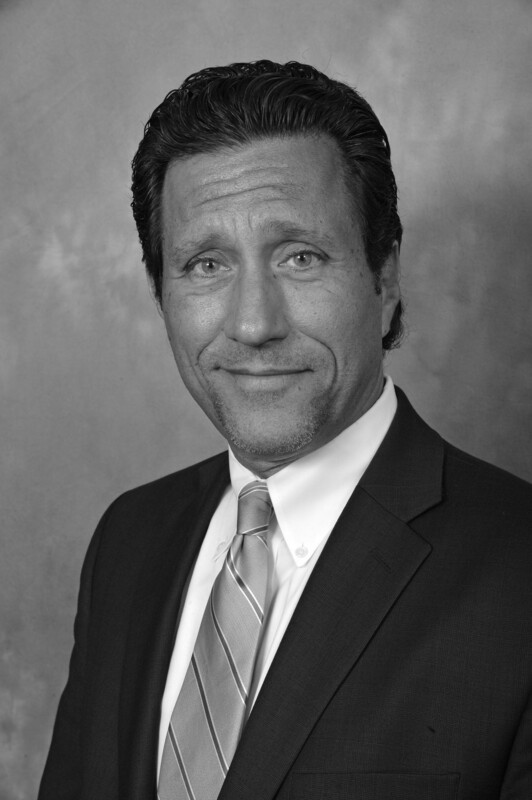 He has been practicing law since 1999 and became a partner at the firm in 2007. He is a member of the New York State Trial Lawyers Legislative Committee. Since 1999, he has co-authored the New York State Trial Lawyers Decisions program on Workers’ Compensation Law. Matthew is a Board Member of the Injured Workers Bar Association. He is a Workers Compensation Committee member of the New York Coalition for Occupational Safety and Health (NYCOSH). Matthew regularly lectures on the workers compensation law to various labor organizations.